17 classrooms in one day a chore; for me, the hours between 8:15 a.m. and 2:30 p.m. flew right by. The applause from their classmates and the smiles, the pride, and the sense of accomplishment that exuded from this year’s Maji Safi Read-a-thon participants gave those hours wings. For the fourth year in a row, elementary students at Whittier International School in Boulder, CO, participated in this win-win project where children improve their reading skills, gain a sense of social responsibility, help others through personal effort, and raise money for Maji Safi Group’s work in the remote and impoverished area of Shirati, Tanzania. Backed by the Wildcat Student Council, the 2016 Maji Safi Read-a-thon got under way in January. 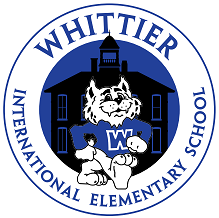 In cooperation with Maji Safi Group and led by former Whittier teacher John LeClair, council members worked hard to promote the project with posters, classroom visits, and school-wide announcements. Their dedication payed off. Children turned page after page, families found personal sponsors, and Maji Safi Group once again relied on our much appreciated group sponsors to honor every book read, so students without personal sponsors could contribute as well. In every classroom, John LeClair and I (Erna Maj) spoke about the Wildcat Student Council’s commitment to service projects and honored each Read-a-thon participant with a certificate and a coupon for a free ice cream cone from Ben & Jerry’s Scoop Shop or Lindsay’s Boulder Deli, our loyal community partners in Boulder. This year, the certificates held a special surprise – through coloring, they connected children across cultures and the Atlantic Ocean. A child in Shirati had colored the left side of a picture drawn by Maji Safi Group’s artist, Jackie Lucas, leaving the right side for his or her Whittier friend to color. It is this connection that over the past four years has become a treasured part of the school year at Whittier. Our ‘Young Global Citizens’ know that due to their efforts, children in Maji Safi Group’s After School Program can learn about personal hygiene and disease prevention through coloring, singing, dancing, doing puzzles, and playing games. The Whittier students know that even kids their age can save lives on the other side of the globe! A huge thank you to everybody who participated in and supported the 2016 Maji Safi Read-a-thon: students, parents, sponsors, teachers, volunteers, etc. Thanks to your support, the children in the rural community of Shirati can continue to improve their public health situation and learn about disease prevention, so they can stay healthy and reach their full academic potential! Community Health Worker Consolata Ladis giving out awards to the top WASH performers. In the After School Program, Maji Safi Group’s Community Health Workers (CHWs) teach students how to prevent waterborne diseases, so they can stay healthy and succeed in school. Since July 2012, 6000+ students from 10 schools have attended, and in 2015, the District Education Office approved Maji Safi Group to teach water, sanitation and hygiene (WASH) education in all 125 primary schools in the Rorya District. 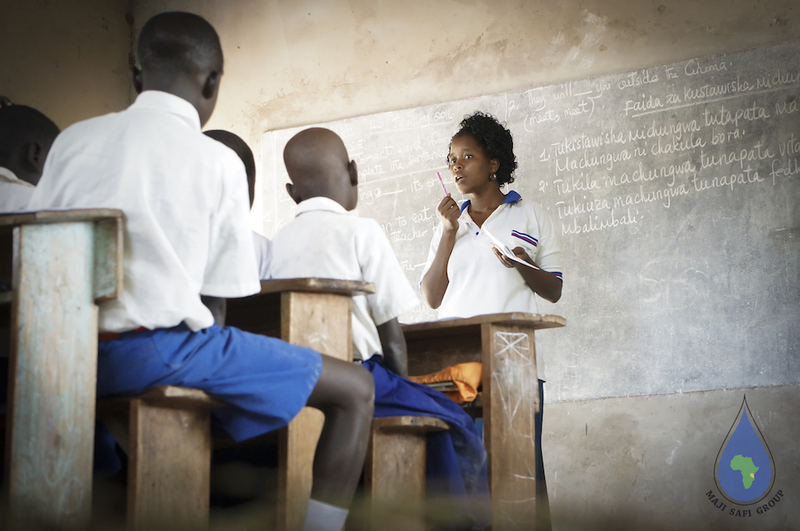 Now, more kids than ever will receive the benefits of this education. CHWs teach in a fun and nurturing environment. Art, games, puzzles, and other activities encourage students to develop their creative and cognitive skills. This way, the things the children need to learn become things they want to learn. the benefits of preventing diseases. To enable proper WASH techniques, Maji Safi Group provides schools with demonstration ceramic drinking water filters and handwashing stations. At the end of the program, our staff artist paints a WASH-related mural to serve as a reminder of lessons learned and as an inspiration to future students.